In the past it has been a common practice for New South Wales Real Estate Agencies to commence a new Tenancy with a Fixed Term Tenancy Agreement and at the end of the term, simply continue the Tenancy as a Periodic or Continuing Agreement. When changes occur within the Residential Tenancies Act, Agents must review systems and procedures to cater for the new laws. New practices include a change in the management and control of Tenancies at the end of a Fixed Term Tenancy. The following case study will highlight the reason for the change. The Tenancy rolled over to a Periodic Agreement and the Landlord was not advised that it was no longer a Fixed Term. After a period of time the Landlord had reason to terminate the Tenancy without grounds and notified the Agent to issue a Termination Notice. 90 days Notice was provided by the Agent and the Tenant promptly moved out and handed in the keys. Under S110 of the Residential Tenancies Act, in respect to a periodic tenancy, the Tenant is not required to provide any notice once in receipt of a Termination Notice and can end the Tenancy at any time during the 90 day Notice period. The Landlord was expecting at least another 90 days of rent and was upset with the Agent for not advising him of the pitfalls of a Periodic Tenancy Agreement. When a Fixed Term lease is coming to an end, we recommend considering signing a new Fixed Term lease so that you don’t find yourself in a situation similar to the case study above. There are pros and cons for both a Fixed Term and a Periodic Agreement that affect a Landlord. Provides security and peace of mind to the Landlord knowing they have a fixed income for the period of the Agreement. Enables the Landlord to forecast and budget accordingly for any expenses or refurbishment required. The Term of the Agreement can end at a time where the market is at its premium, therefore giving greater control to the Landlord and Agent. To end a Fixed Term Agreement, a Termination Notice of 30 days is required to be provided to the Tenant. A Tenant cannot leave prior to the end of the Fixed Term but does need to give 14 days Notice if they are ending the Agreement. The Tenant can leave at ANY time after receiving an Agent issued Termination Notice and only pay rent until the day they hand in the keys or vacate the premises whichever is the later. Tenant may terminate the Tenancy at a ‘slow’ time therefore the Property will be vacant longer. This equates to loss of income to the Landlord. The Landlord/Agent has to provide 90 days Termination Notice if vacant possession is required. Once notice is received by the tenant they can move out at any time without notice. Do you need assistance in managing your investment property? Are you having trouble renting your investment property? Would you like an Investment Health Check on your property? Are you 100% convinced you have the right property managers caring for your asset? Call our John Pye Real Estate office today on 9476 0000 or send us a message to find out how the delivery of our award-winning service will increase the profitability and value of your investment. Or email John or email Bec for full details of the YourInvestment™ Management Service exclusive to John Pye Real Estate. John Pye Real Estate currently cares for Investors who own residential and commercial property over a large part of Sydney; from the Northern Beaches to Inner West to the North Shore, to the Hills and Western Sydney. If your investment property is within this general area, our John Pye Real Estate team can help you. 1. How are periodic agreements where the original fixed term lease was in a standard form applicable in say 2010 affected by subsequent changes in NSW tenancy laws? The standard NSW form in 2015 looks quite different from the 2010 version with changes presumably intended to benefit either or both parties. 2. In practice. can the terms of such an ongoing periodic agreement signed in 2010 be amended by the parties signing an amendment and attaching it is an addendum to the original lease? Even though rent may have been increased since 2010, such changes may be to address other matters dealt with in the current 2015 standard form agreement. 1. 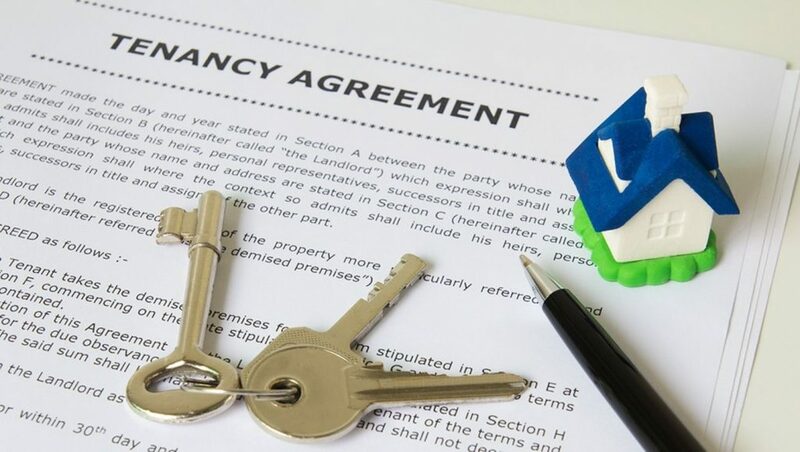 All Residential Tenancy Agreements regardless of whether they commenced before or after the changes to the law are governed by the current Residential Tenancies Act 2010. All tenancy matters will always be dealt with in accordance with the Act. We recommend that at the end of each fixed term, the tenancy is renewed. In the process of doing this, the old agreement would be replaced with an agreement in line with the current Act. 2. Terms of an agreement cannot be changed without signing a new agreement, however written agreement can be entered into to address other matters. Eg. a tenant may request to keep an animal on the premises after they have already entered into the Residential Tenancy Agreement. If the landlord agrees to this, a written agreement can be signed permitting the tenant to keep an animal on the premises. If we can help you with the management of your properties in Sydney, please feel free to email me. how does a fixed term tenancy and periodic tenancy impact on the potential sale of the rental property. Thanks for your comment, we are happy to help. Our team have experience with selling rental properties successfully with both tenancy terms. With a fixed tenancy term, it is not impossible to sell if you need to. With these circumstances, it just has the potential to knock out some of your market, particularly buyers who have sold and need to move into their purchased property within a standard contract period, like 6 weeks for instance. The time-frame they need to wait for your tenant to move out of the premises may not suit them, therefore they will be less likely to make an offer. If your property is a “one-of-a-kind” or a unique property where there is limited amount of comparable homes/properties on the sale market, buyers will have no problem in making an offer with intension to purchase and be happy to wait for a fixed tenancy term to be completed i.e. high demand, with little supply. If there are many similar homes/properties on the market at the same time, then the supply will be higher where buyers can shop around. With a periodic term (like a month-to-month basis), you have a much wider choice of potential buyers who will be attracted to the property and the terms of the contract you can offer with potential for vacant possession. If you have any further questions, please feel free to call me on (02) 9980 6777. If your property is in Sydney we can also help you sell. We have no Tenancy Agreement – we have been here for 3 years and wish to stay – living conditions are not the ‘Maj Mahal’ but we have a peaceful aspect with our animals. The previous owner wanted a commitment of at least 5 years which we more than happy to abide by – the owner said he would increase the rent after the five year period once he had fixed the roof, supplied hot water to the kitchen and other maintenance. We did most maintenance but structural (to some extent) he did. The owner also said we could put an awning on to cover vehicles etc and build a shed (plans to be supplied by us to him) not a problem. Now, the new owner has revoked this – we have a daughter in Year 12 (next year) and this will be devasting to her future (i.e. to remain at the same High School). We have done nothing wrong. We have been ‘played’ a story that ‘Council’ wants this ‘supposedly’ illegal dwelling removed – the new owner gave us 90 days to vacate. We are playing our cards low … the new owner is blaming the old owner – the new owner said ‘council’ wants it removed – does the new owner or council?? SHOULD the dwelling be illegal what about all the rent we have paid over the time? Hi Brenda, thanks for your question. The big question here is whether anyone has the right to charge rent for an illegal property. Firstly, you can check with Council to see whether your home is in fact illegal or not. You can also check whether there is a demolition order on the dwelling. We suggest you visit rather than make a phone call and speak to someone over the counter about this issue. If in fact your home is illegal, then make an application to the Tribunal for a hearing about your rent. Every circumstance is different and of course we don’t know all of your particulars, but we recall a situation in the Eastern Suburbs of Sydney where a person lived in an illegal shack on a property for around 30 years. The tribunal ordered that all rent had to be returned to the tenant. I also remember our staff checking on a particular tenants reference with the previous Estate Agent. The Agent told our staff member that the tenants had been living in a brand new home which did not have an Occupancy Certificate as there were still a couple of minor outstanding issues. When the landlord decided to move in and so end the tenancy, the tenant took the landlord to the tribunal and won. Our impression was that these devious tenants in particular sought out such properties. So their plan was to spend a lifetime rent free taking advantage of landlords. All the best with your situation, Bec Reid. Is a offer of a lease renewal legally binding or can the landlord change their mind and issue a termination notice and not renew the lease. Hi Michelle, thanks for your question. An offer of a new fixed term is simply that – an offer. It is only legally binding until a new fixed term lease is signed by both parties.